Many organizations were earlier having their built-in robust data centers, while migration to Cloud has now become an everyday affair as more and more enterprises are venturing into this cloud computing land as compare to traditional IT infrastructure models and opting for their securer platforms. In traditional IT infrastructure, data centers usually consist of many hardware pieces including desktop machines connected to a particular networks via remote servers. These servers are usually installed on premises, and provide all users, who are using that hardware, an access to their business data as well as applications. Purchase of extra hardware is needed and it is also mandatory to upgrade for scaling up data storage along with additional services for supporting increased number of users. Regular software upgrades are also mandatory and constant hardware additions are always required with these traditional IT models to make systems fail safe in cases of hardware failures; making all this a very costly affair. Considering the always-increasing costs with traditional IT models, cloud computing seems to be a far more cost-effective option. Also, with this virtual hosting solution, all the software, servers as well as networks are hosted off premises, in cloud; rather than being accessible through physical hardware, as in the traditional models. So the costs of purchasing physical hardware and servers in-house are minimized as data storage space can be rented from cloud providers, which is much more cost-effective option. Lowered Costs: In cloud computing services, only what is used is paid. Further, decreased downtimes mean improved workplaces and augmented profits in the longer run. In conventional IT infrastructures, it is needed to purchase equipments and additional servers upfront for adapting to future business growth; so one ends up paying more for resources that even aren’t used. Also, physical servers’ value decreases gradually, so ROI is also low with traditional systems. Automation: Cloud hosting is done outside the premises and managed by cloud providers, who take care of all aspects, including the required hardware, thus ensuring that all security measures are well in place, and keep the things running in a smooth manner. Conventional data centers, on the other hand, need massive amounts of in-house administration that could be costly and very much time-consuming for businesses. Trained staff is required for server monitoring and hardware maintenance; and a lot of effort goes into software installations, upgrades, configuration issues, and threat-protection. Flexibility: Cloud computing models provide increased flexibility as compared to conventional IT models. Companies can have complete control for installing any software whenever needed, which giver better flexibility for businesses to grow. Scalability: Cloud virtual spaces have unlimited storage capacity and more & better server resources. Cloud servers usually can scale up/down as per the levels of website traffic. With conventional IT models, only those resources are used, which are already available. If any business runs out of storage capacity, the sole solution remaining is to buy another server. For hiring more employees, additional software licenses have to be paid for and to have them uploaded manually on office hardware can be a costly affair, especially for growing businesses. In cloud computing, data is saved externally, which seems less secure. Also, with free access to data by anyone anywhere, wherever net connection is available, again causes data leakage threats. With traditional models on the other hand, business owners are only responsible for the data protection of their organizational data, but at the end of the day, that’s not scalable and cost-efficient. 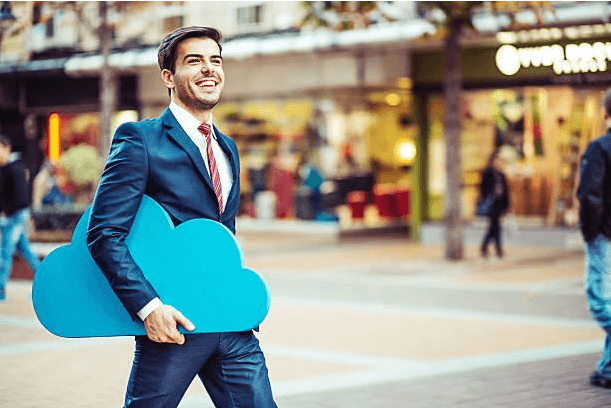 So, cloud is a better option, if the only aspect of cloud security is taken care of by enterprises, which is possible to deploy CASB solutions, which go hand-in-hand with cloud providers. Thus, CASB solutions hold a great importance in this corporate perimeter, providing this necessary cloud security assurance, thus filling any such gaps in the systems running on cloud models.